Emerald Ash Borer has now been identified in three of Vermont’s Counties; Caledonia, Orange and Washington. It is well known that the borer can devastate ash populations as it has in at least 32 other states. If you feel that your trees may be infected by the insect, please reach out to us. Ash sawlog prices are currently at an all time high. Bartlett Forestry & Wildlife has been salvaging ash trees that have been declining from Ash Yellows Disease for the last 10 years and will continue to do so through the infestation. The new invasion of the borer may have an affect on the price ash is currently bringing at mills. The biggest threat to Vermont’s ash is the spread of firewood. 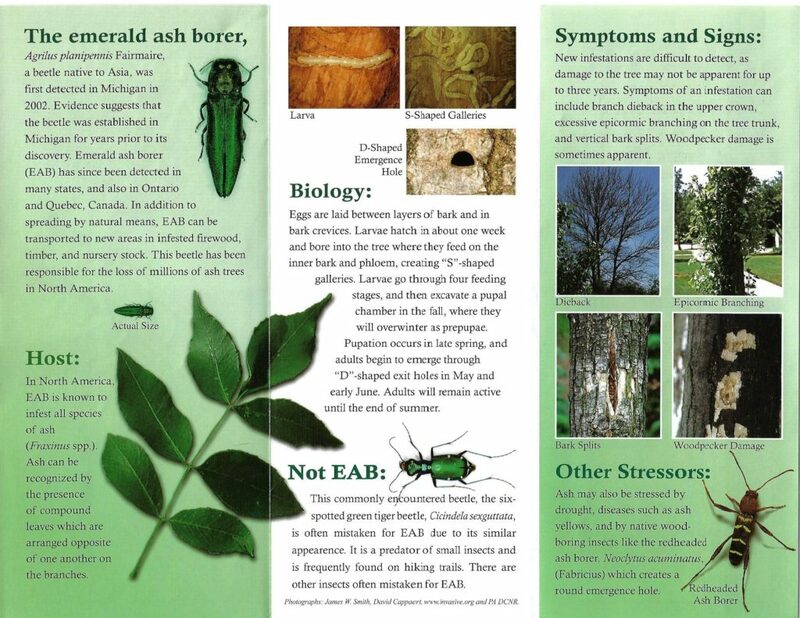 Buying local firewood can significantly reduce the spread of the Emerald Ash Borer. This entry was posted in Uncategorized on March 29, 2018 by pbartlett. Bartlett Forestry & Wildlife, LLC. © 2018 Bartlett Forestry & Wildlife, LLC.